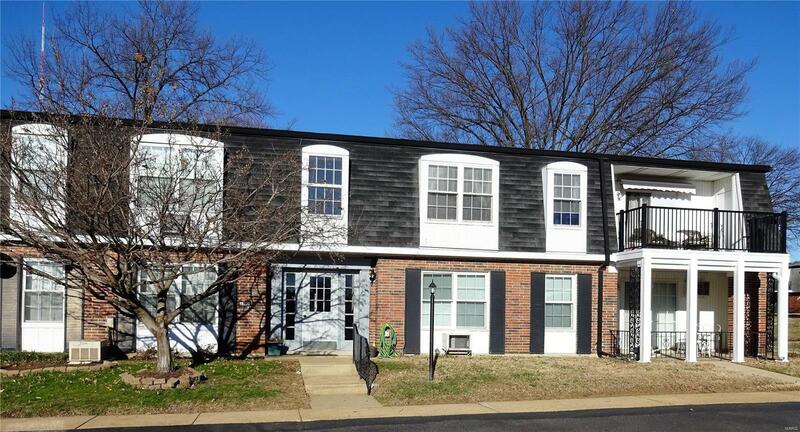 Charming Spacious Condo in Mehlville School District! This 2BR, 1BA garden condo is move-in ready.Featuring newer laminate wood floors,all newer vinyl windows, AC units replaced, and newer water heater, nicely updated kitchen and bathroom.Enjoy your large 2nd floor patio with access from the kitchen, and a beautiful slider in the master.The complex in-ground pool is perfect for the summers! There is extra storage right outside your front door in a designated storage unit. This complex is conveniently located near Hwy 55, public transportation, shops and restaurants. ALL ELECTRIC unit. Water/sewer/trash/ street maintenance/ snow removal/ common ground landscaping/ entrance sign/ structure and on-site maintenance are included in the HOA fee as well as the clubhouse/pool. Seller is offering 13 Months HWA Home Warranty.Just PASSED St Louis County Re-Occupancy Inspection.Make your appointment today!